"The serrated blade is extremely rough and snags on my towel every time I dry it and the handles are very petite. I would like to return them." "good steel, balance, make, fit, feel. this has 1/2 serrated, 1/2 straight edge blade. After using it I have to admit I don't see the advantage of..."
"good steel, balance, make, fit, feel. this has 1/2 serrated, 1/2 straight edge blade. After using it I have to admit I don't see the advantage of the design yet. I prefer a blade that's one or the other. 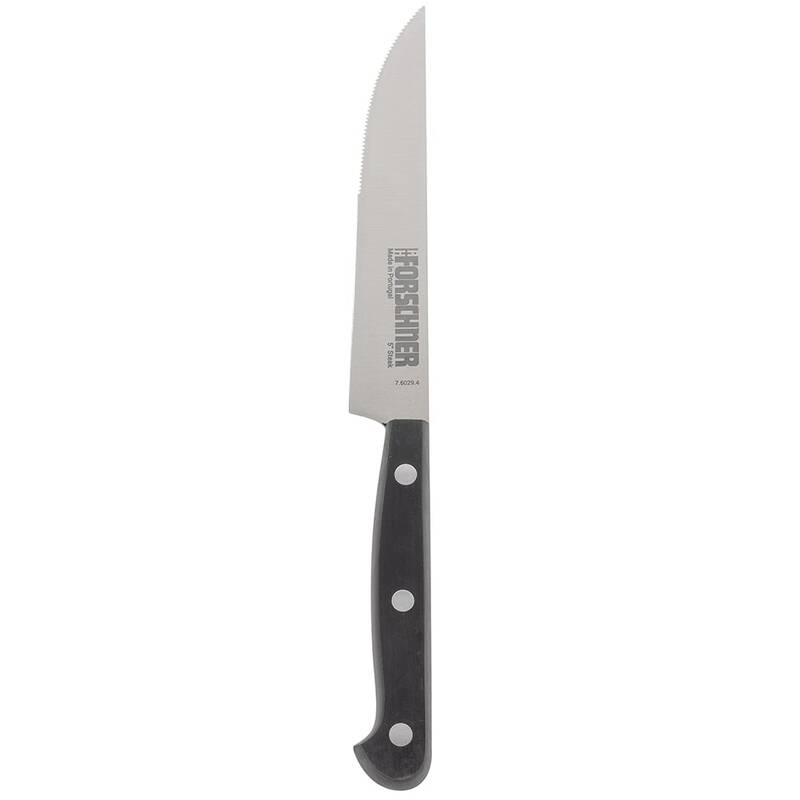 By putting the serration on the tip 1/2 of the blade, it might as well be serrated, since that's what's cutting most/all of the steak. this knife is light but substantial. Good enough steel for most use. I am sure it will last a very long time, and I plan to treat it badly. I bought it to try- we're looking for steak knifes. It's cheap enough to buy-to-try for our home. 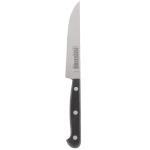 Now we have a few cheap steak knives to use until we buy a few matching ones."